The Immokalee Foundation has been awarded a $10,000 grant from the Suncoast Credit Union Foundation to provide Career Development program scholarships. Career Development introduces a broad range of career choices to high school and middle school students through workshops, career panels, internships, and job shadowing opportunities that allow the students to gain exposure to industries and careers outside of agriculture. 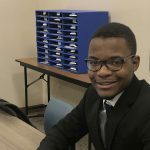 The Immokalee Foundation’s Career Development program also provides job and college readiness initiatives to ensure that by graduation, students have the academic knowledge and professional skills needed to succeed in post-secondary education or training for their chosen careers, whether through attendance at a community college, university, technical or vocational program, or an apprenticeship or internship. Critical components of the Career Development workshops include ACT preparation, resume writing, networking skills and financial literacy. The success of The Immokalee Foundation’s programs speak for themselves: more than 5,000 students have received critical support at no cost to them, and 100 percent of the students enrolled in its programs graduate from high school. Similarly, 100 percent of those high school graduates continue on to a college or vocational post-secondary path, and nearly 90 percent of those post-secondary students have graduated or are on the path to graduation from their institutions of choice. 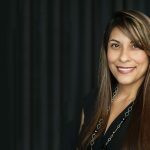 “Through the Career Development program, the foundation is working to help students discover careers in fields they may not even know are available to them,” said Steven Kissinger, executive director of The Immokalee Foundation. 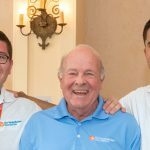 The Suncoast Credit Union Foundation has raised and donated over $22 million to help provide a better future for children. For more information, visit www.suncoastcreditunion.com. 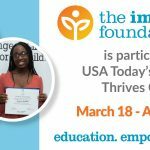 The Immokalee Foundation provides a range of education programs that focus on building pathways to success through support, mentoring and tutoring, and life skills development leading to economic independence. 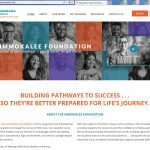 To learn more about The Immokalee Foundation, volunteering as a mentor, making a donation, including The Immokalee Foundation in your estate plans, or for additional information, call 239-430-9122 or visit www.immokaleefoundation.org.